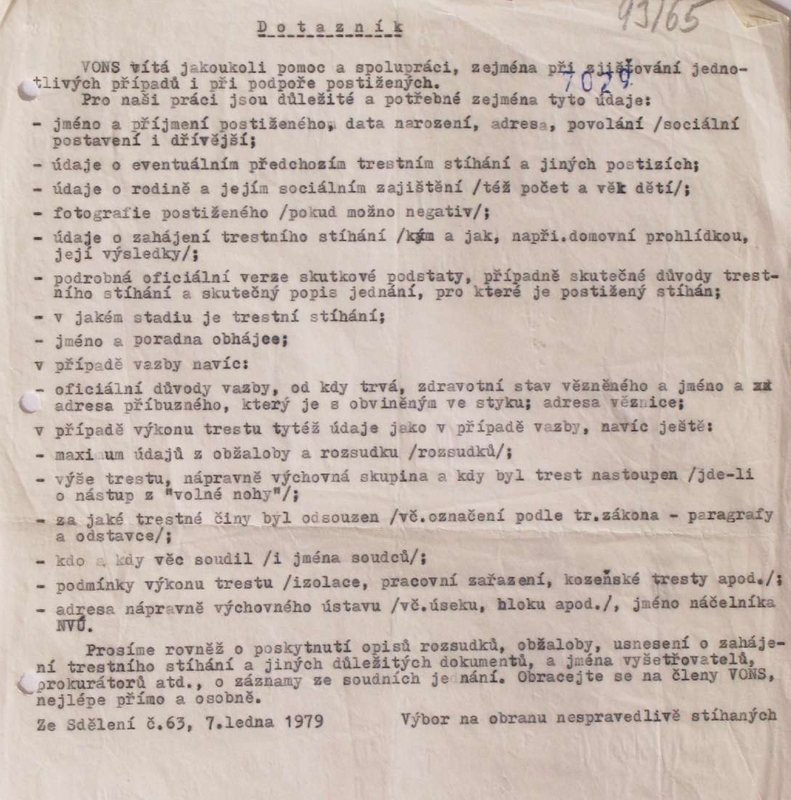 This section of the website publishes facsimiles of documents drafted primarily as a result of the activities of members of the Committee for the Defence of the Unjustly Persecuted. 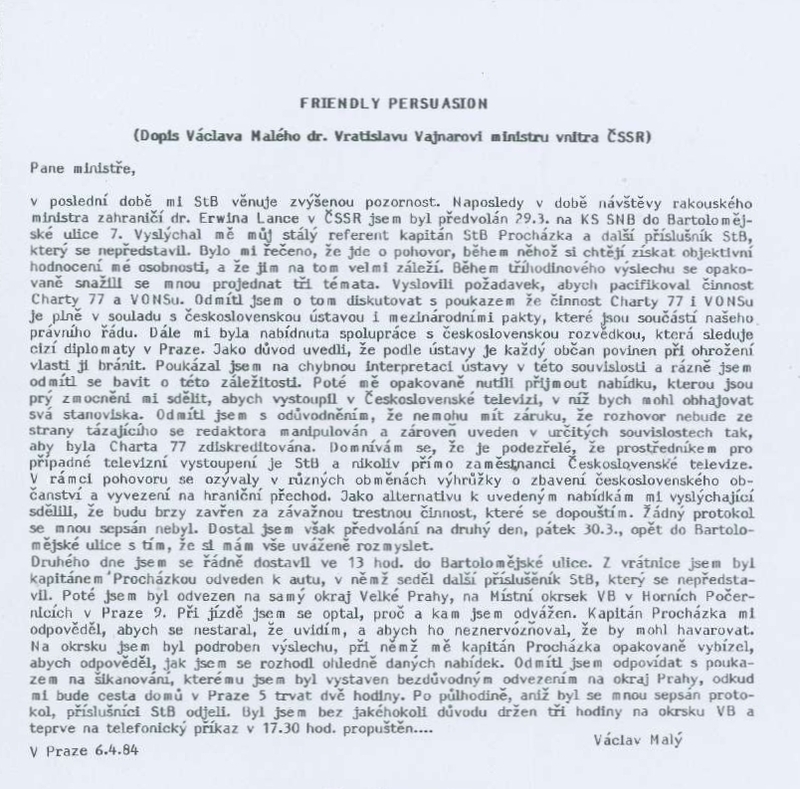 Their digital versions have been produced in cooperation with the Libri prohibiti library, where the originals of archive documents are held. 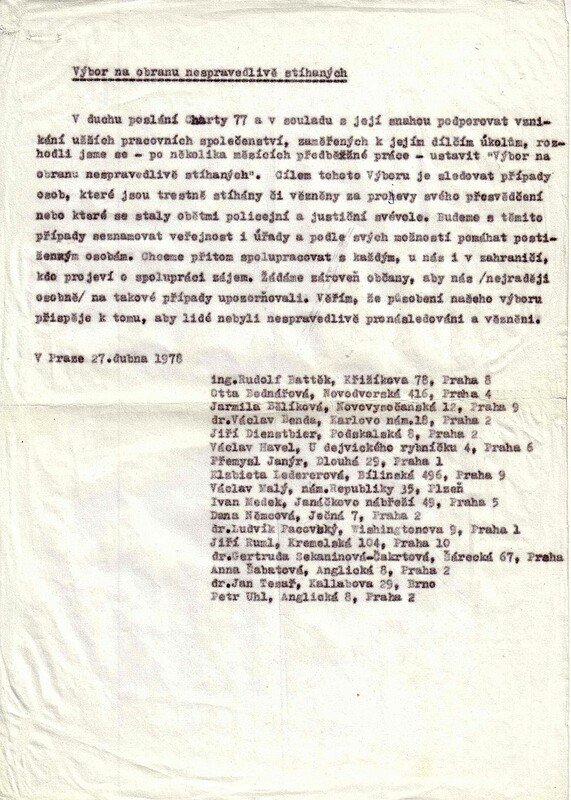 The Catalogue of the VONS Collection (in Czech) was produced by Jaroslav Pažout. 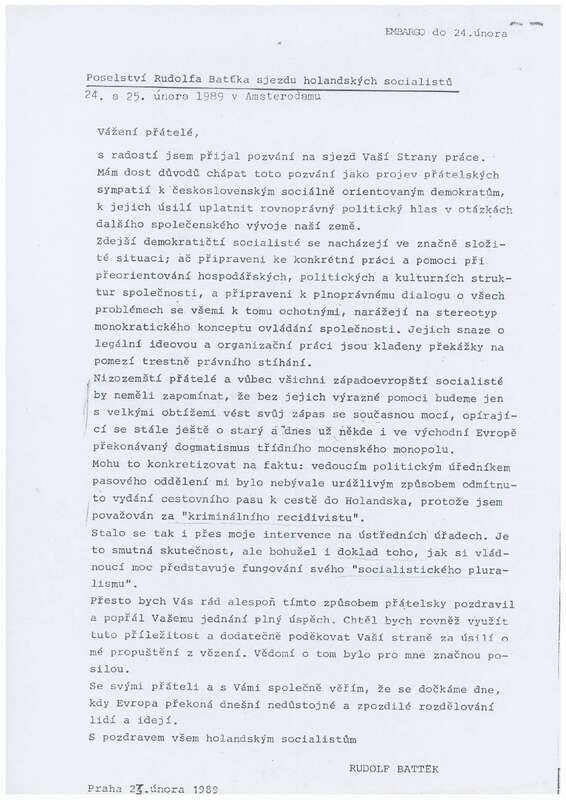 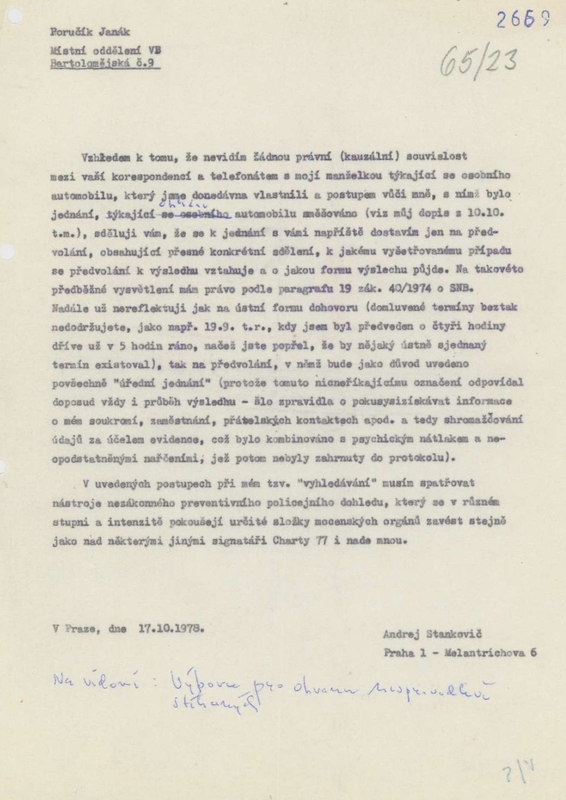 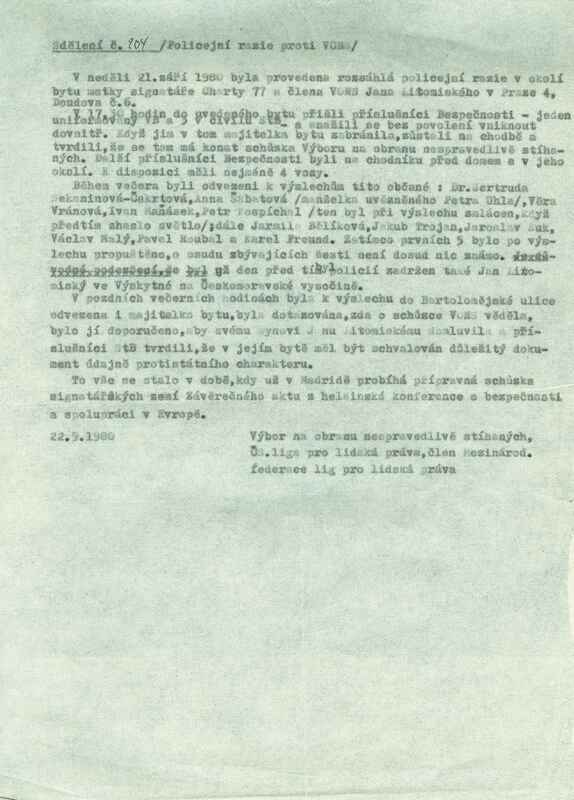 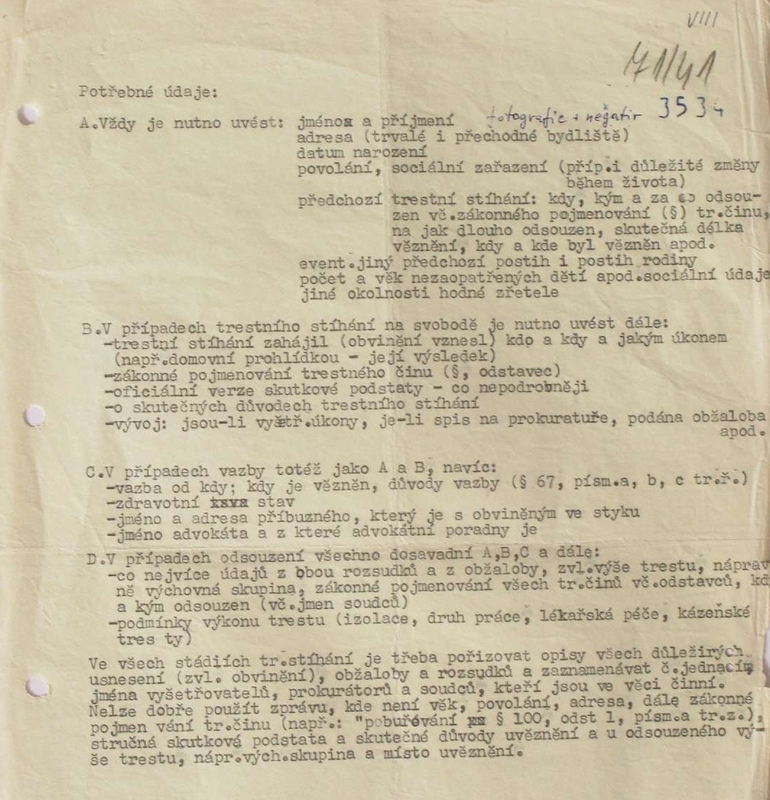 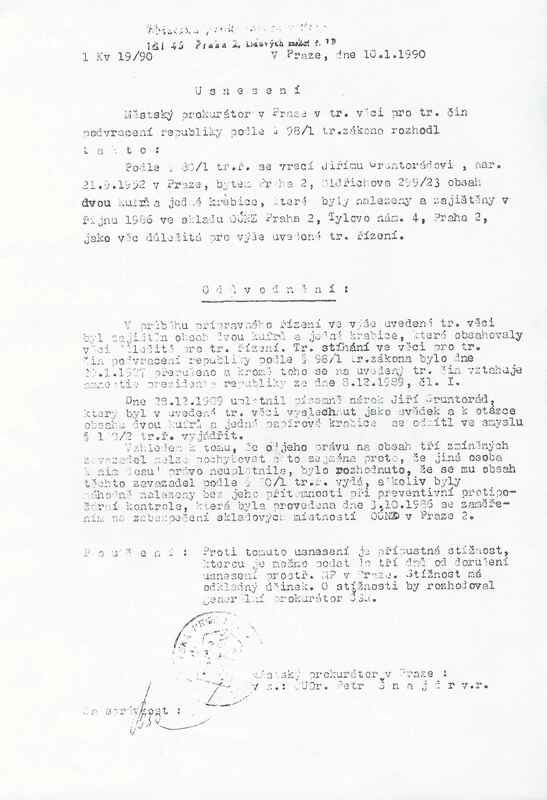 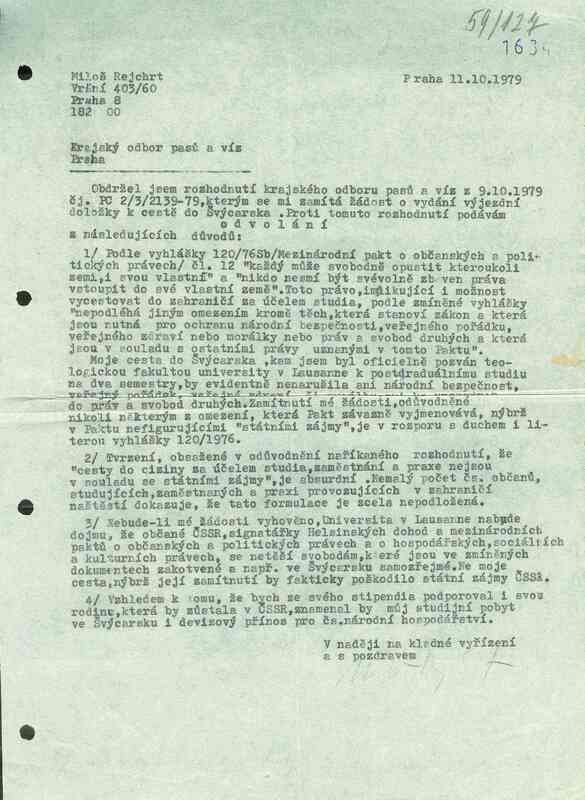 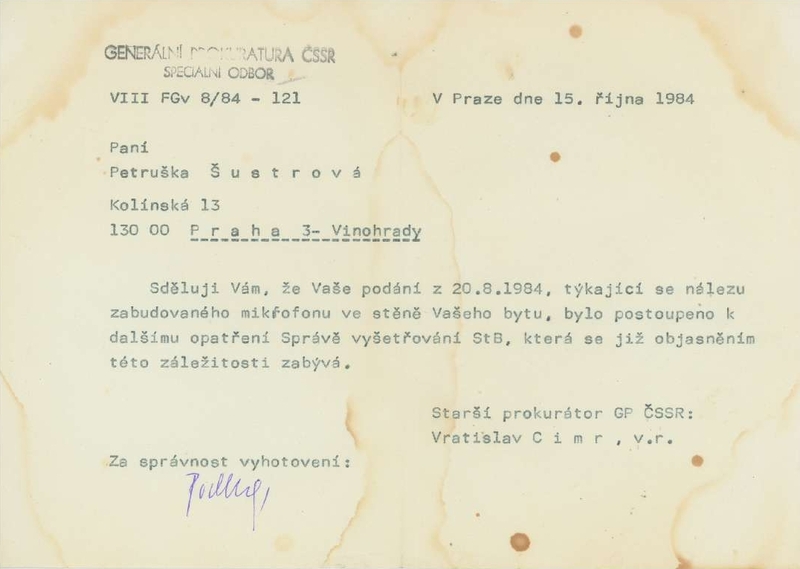 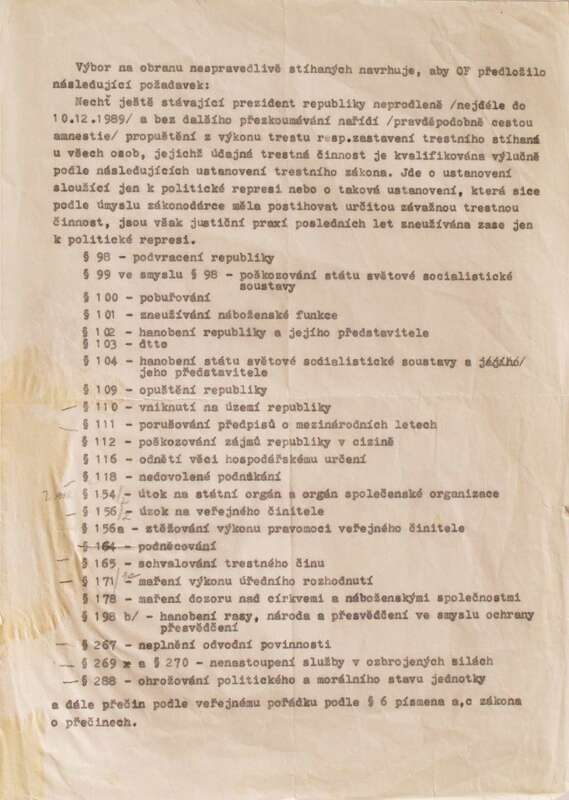 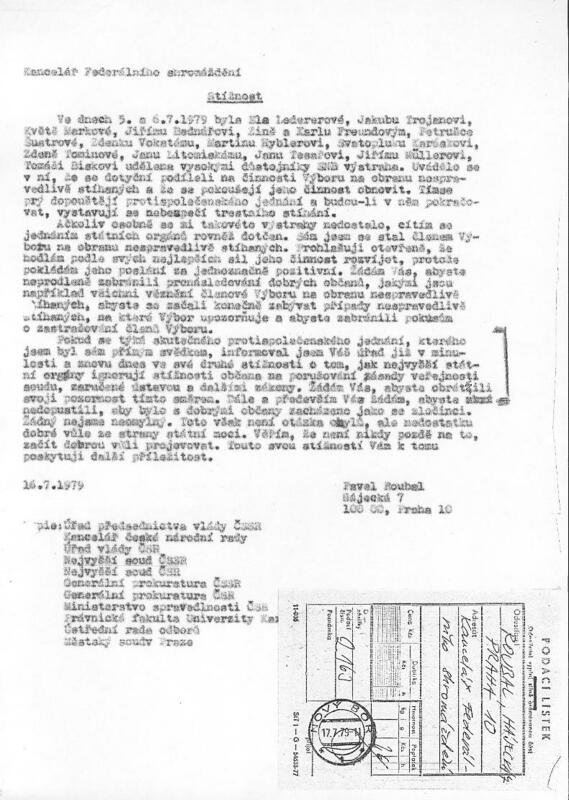 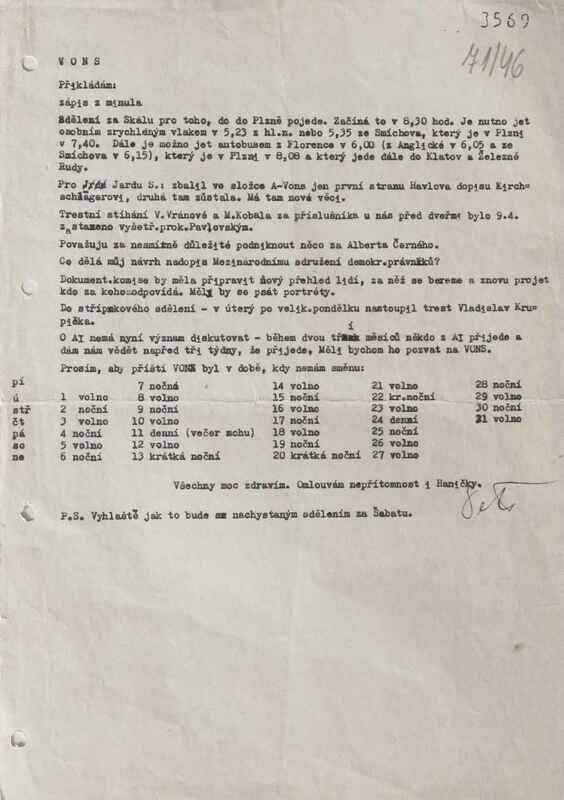 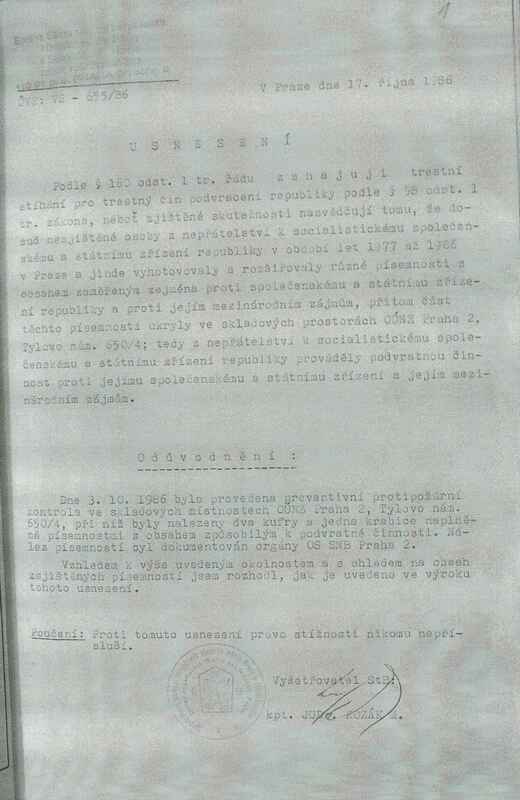 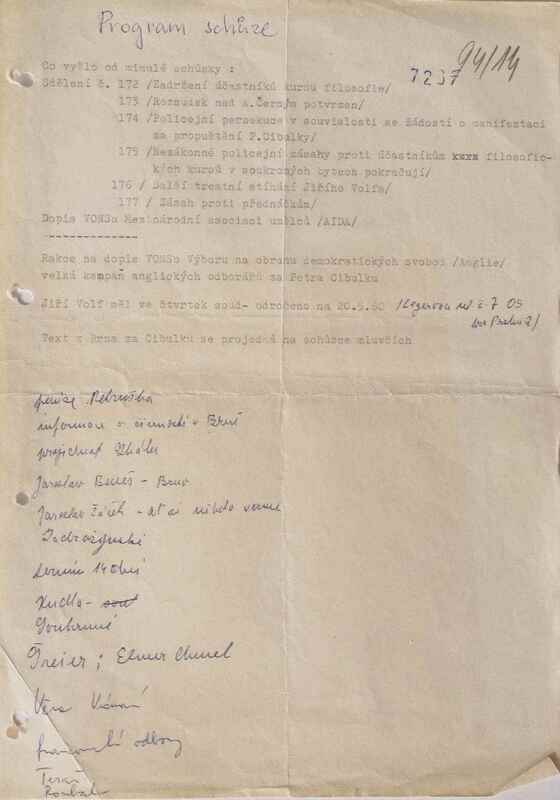 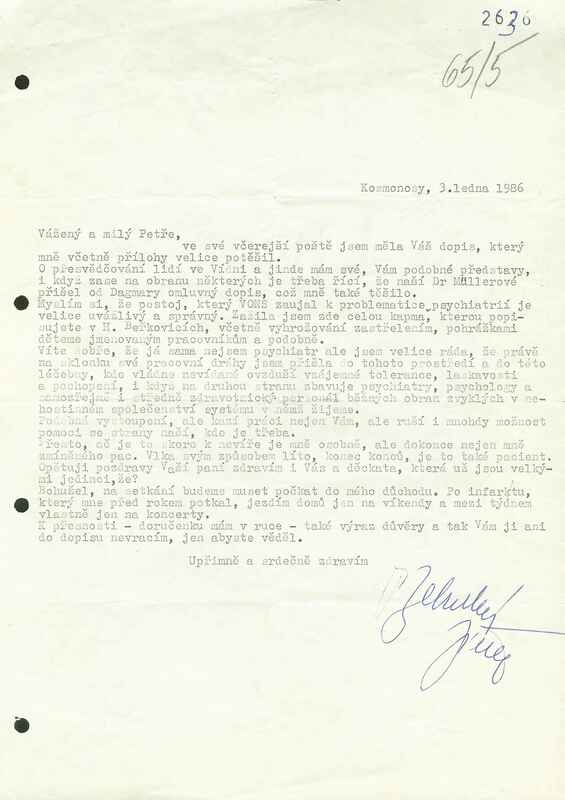 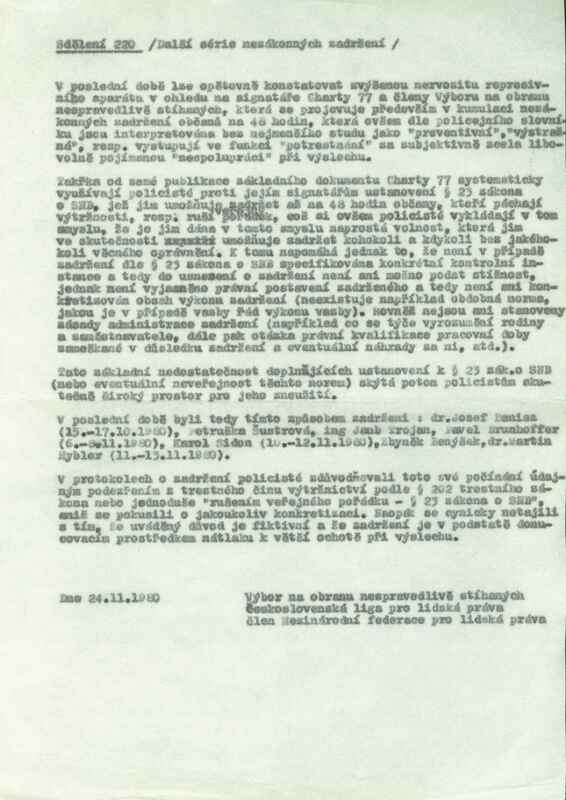 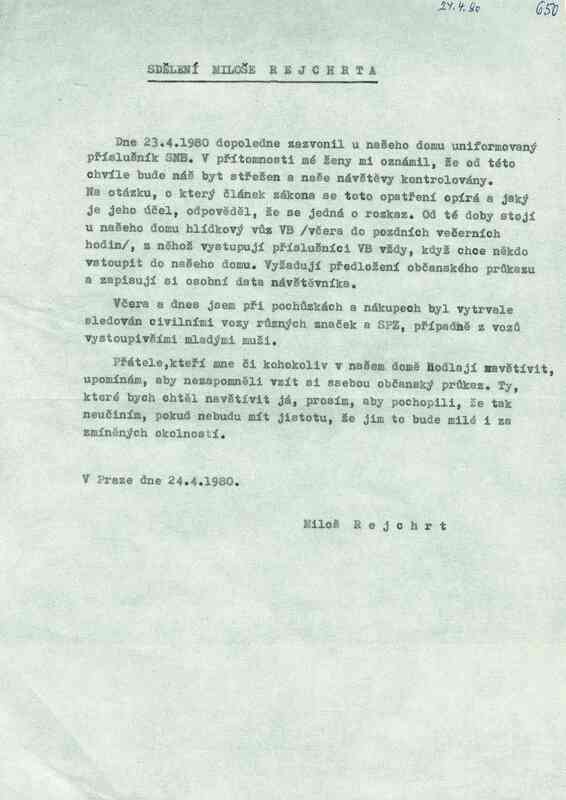 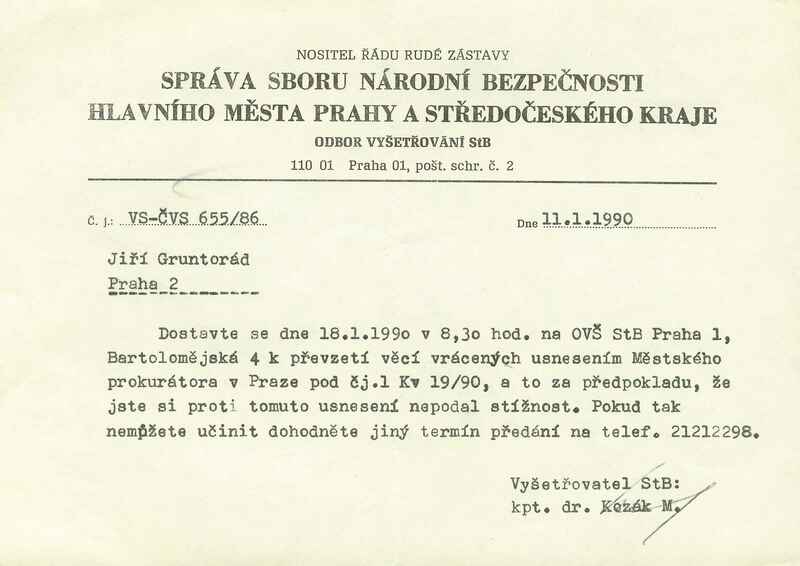 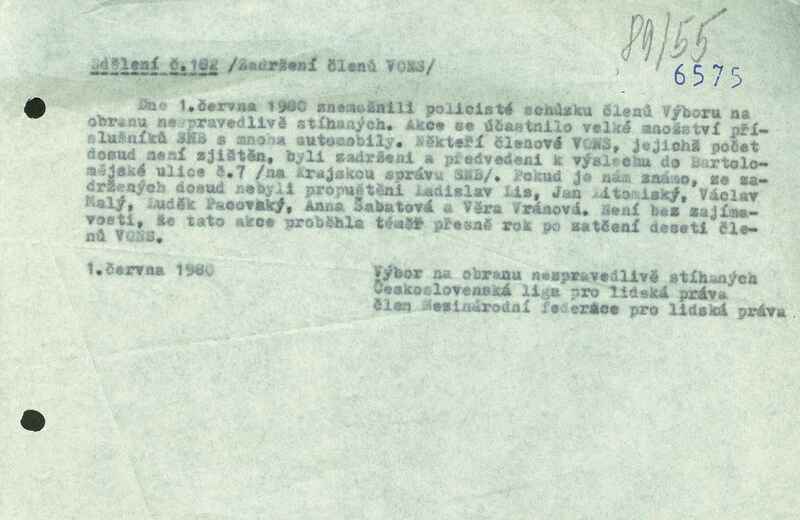 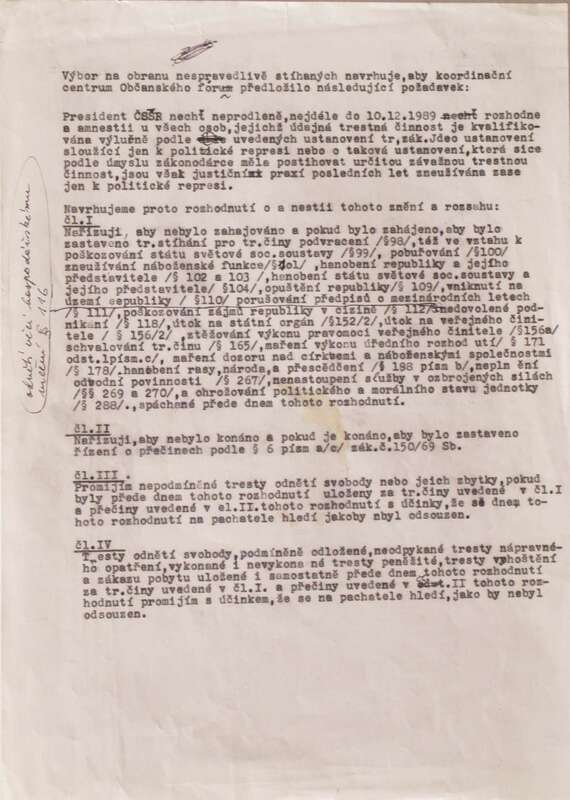 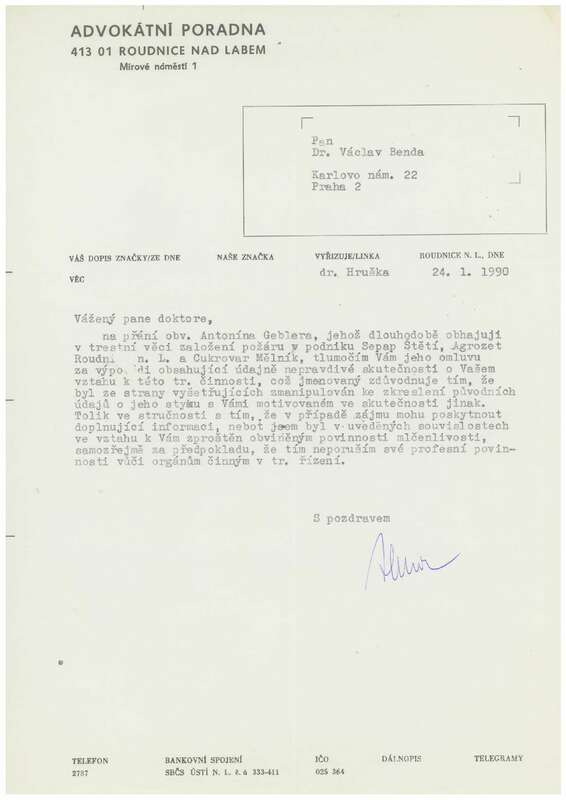 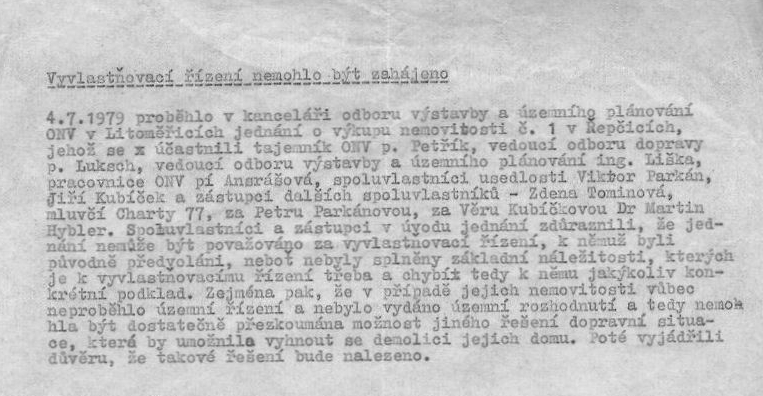 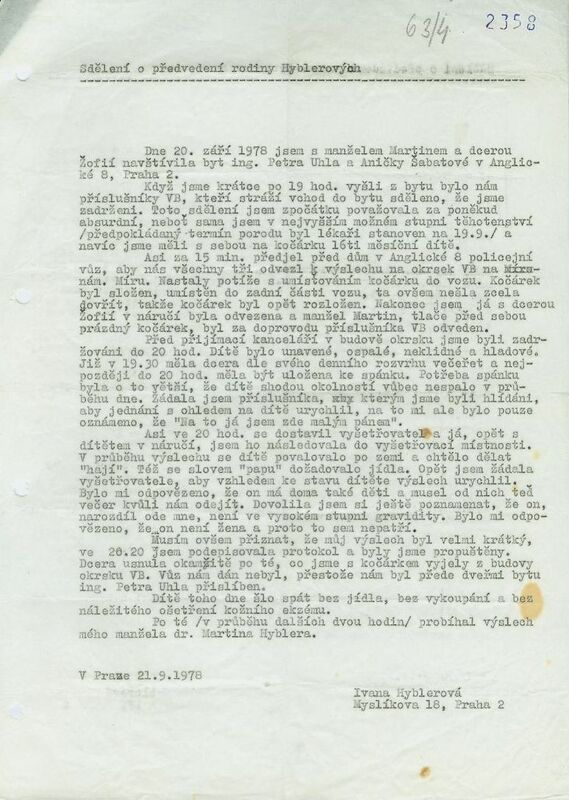 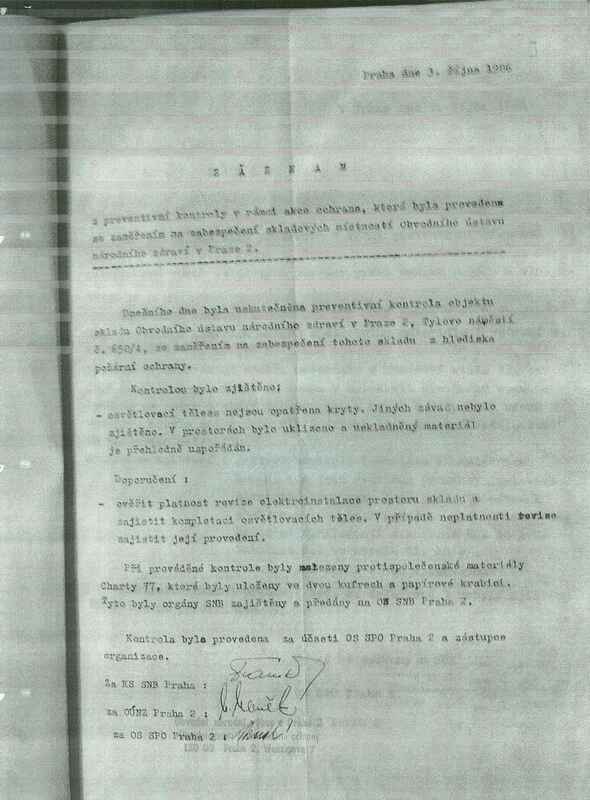 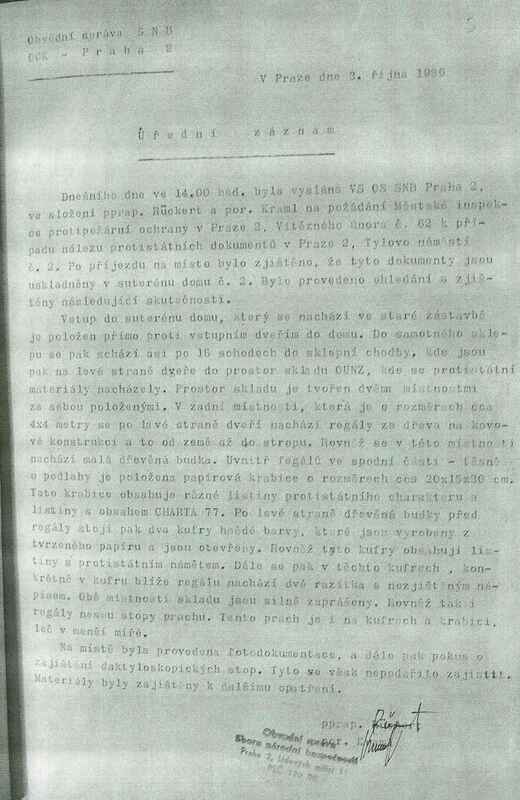 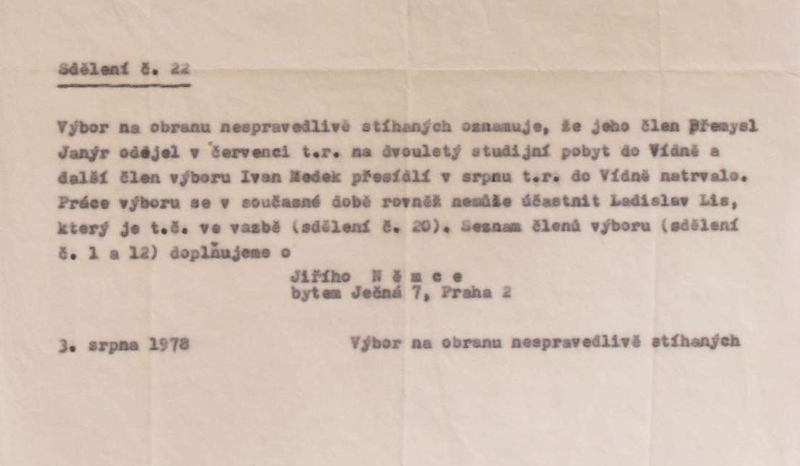 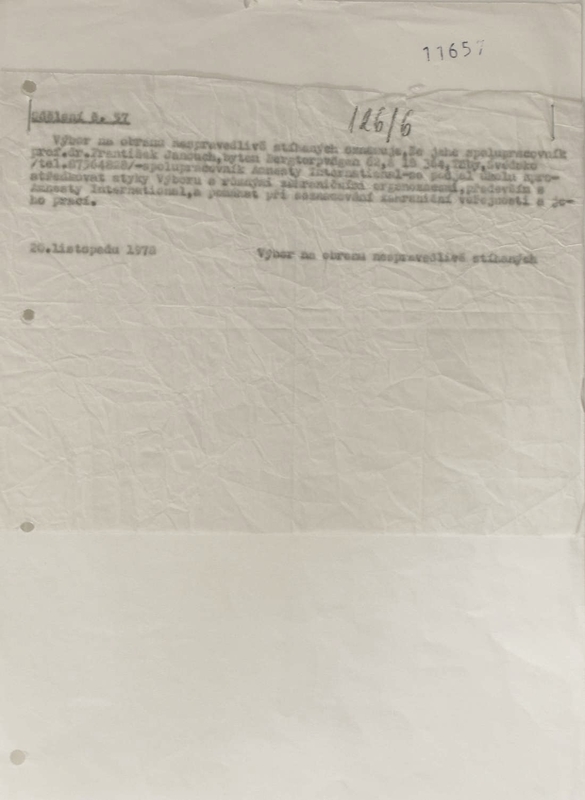 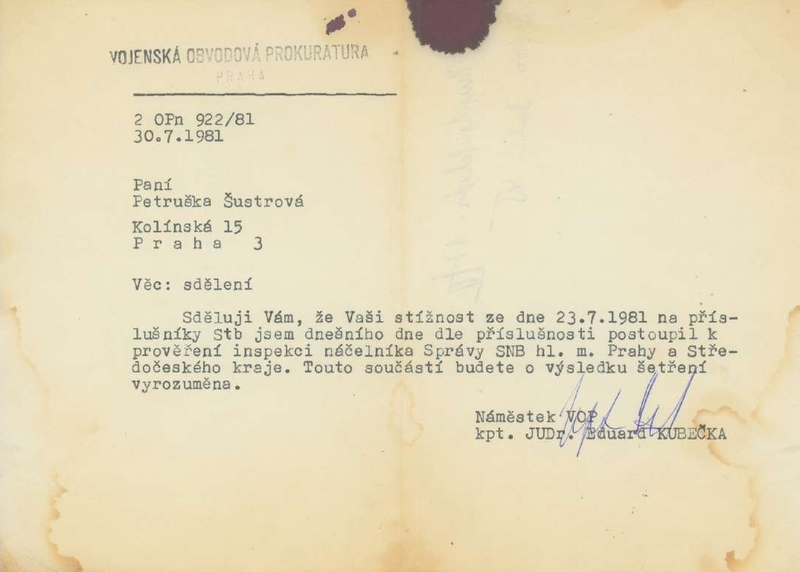 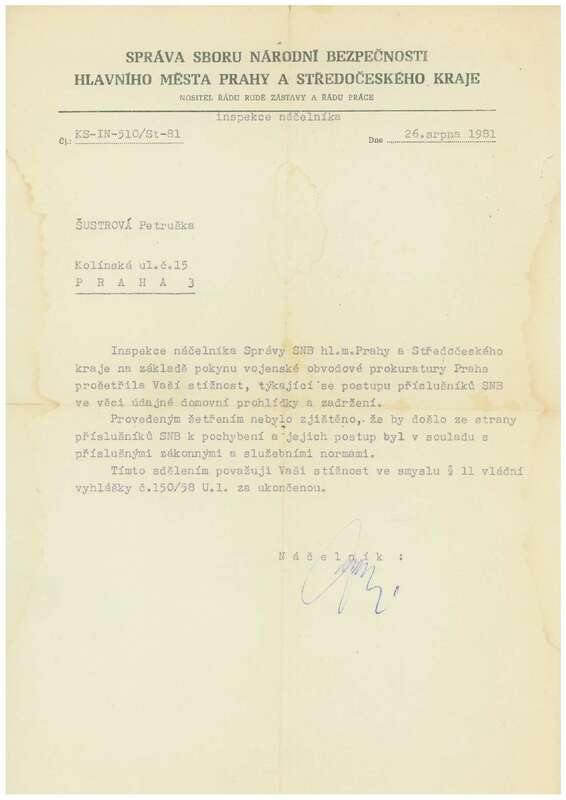 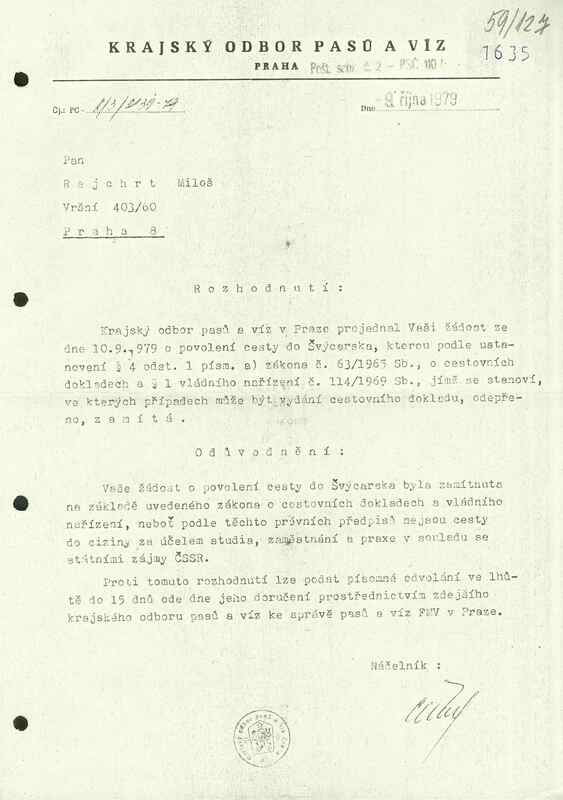 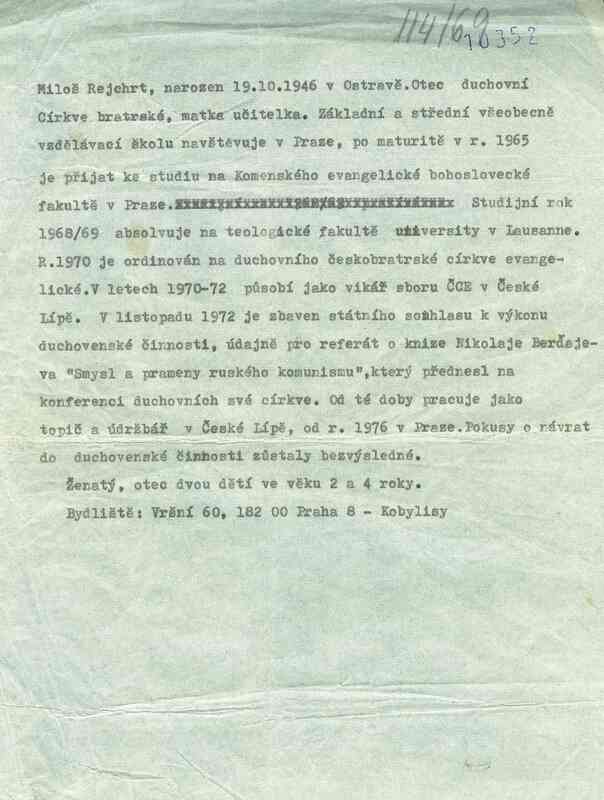 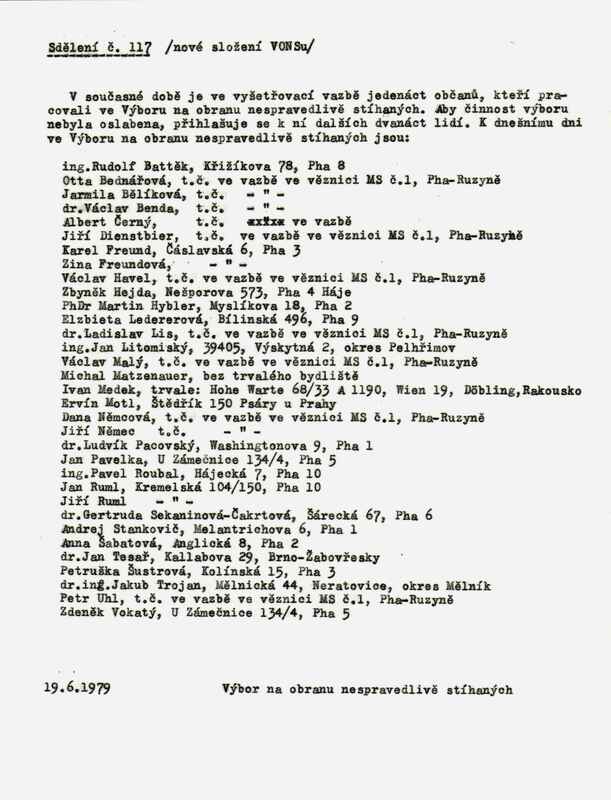 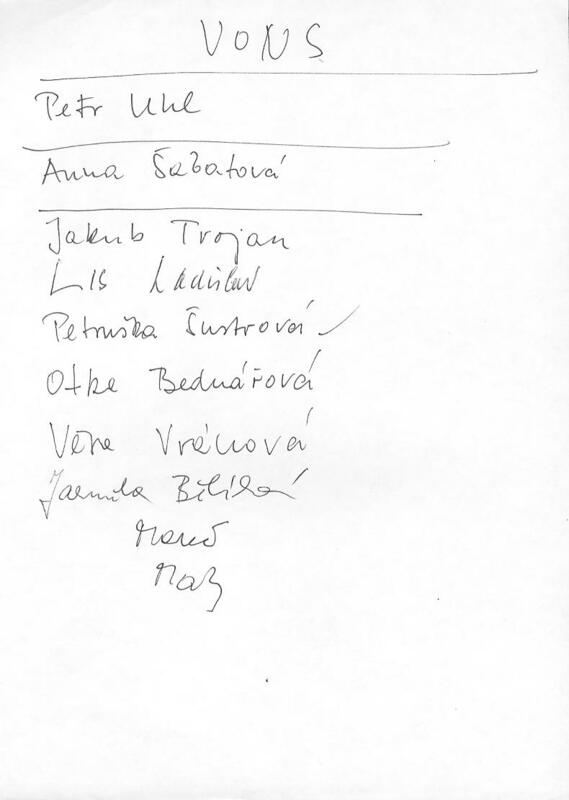 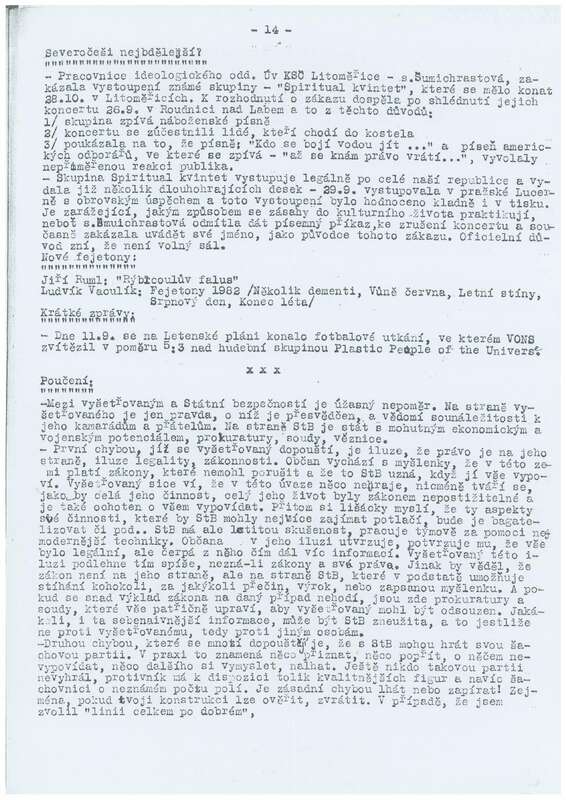 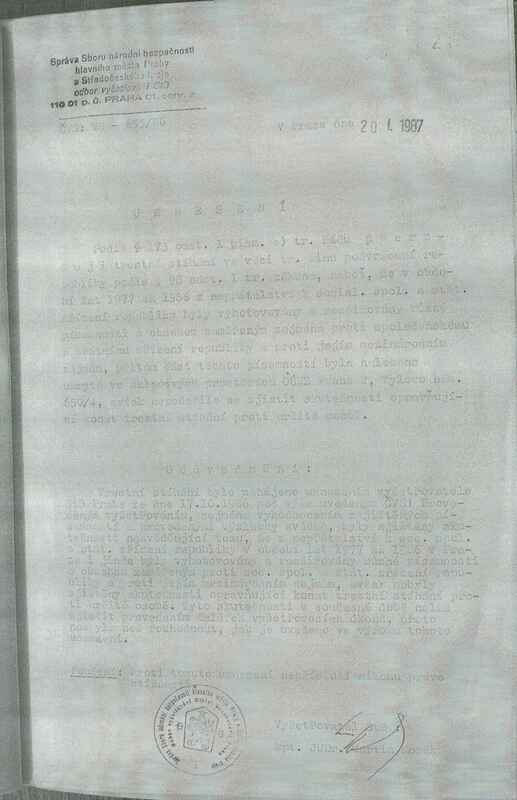 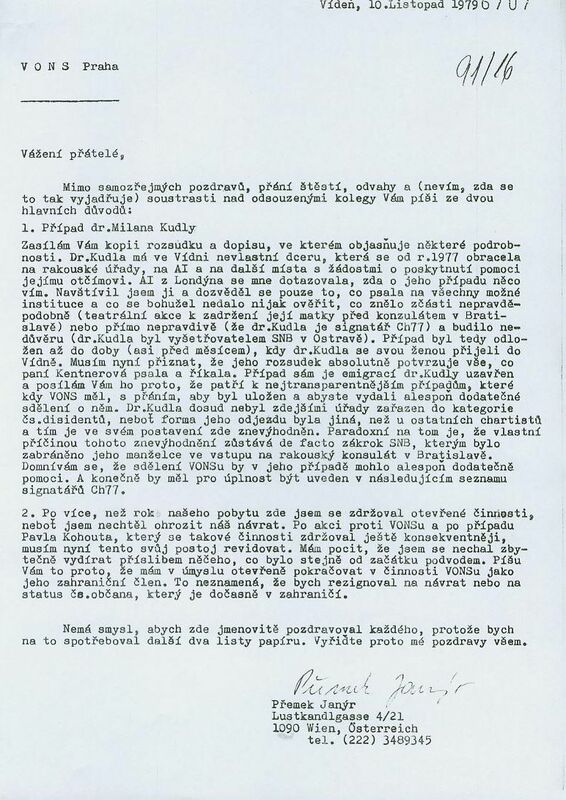 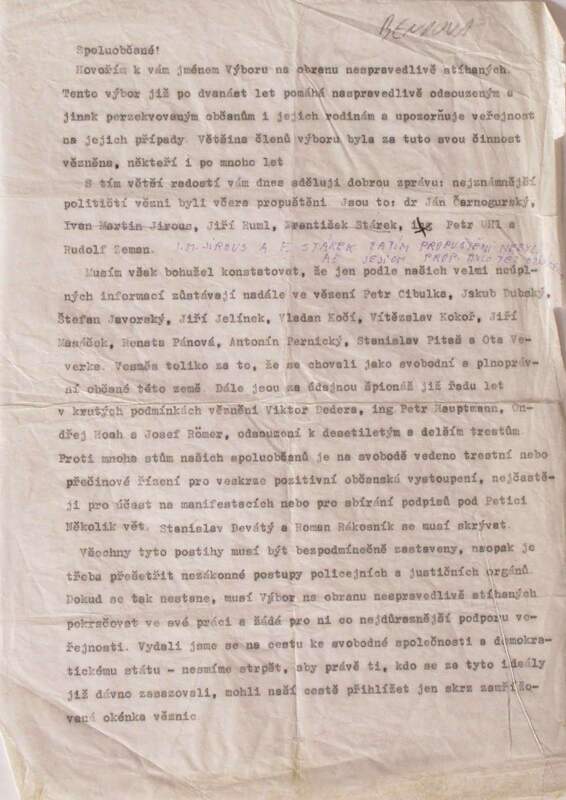 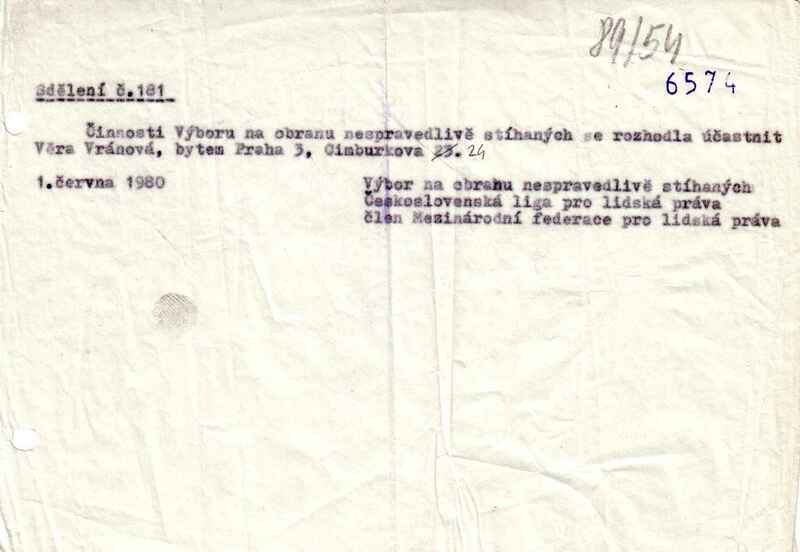 The section also includes a description of the setting up of the collection, the core of which consists of the working archive of the committee confiscated by the State Security Security (StB) in October 1986 and returned to Jiří Gruntorád in January 1990. 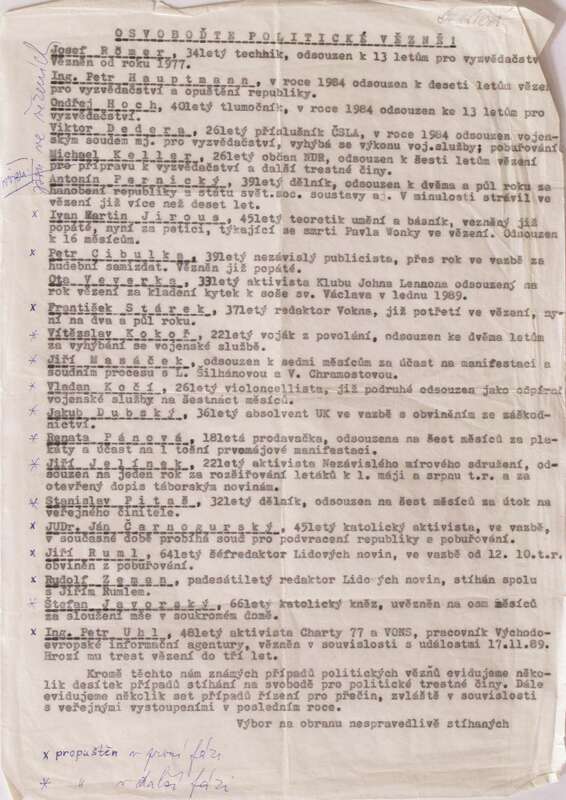 The collection is designed as an open archive – newly acquired documents are constantly being added. 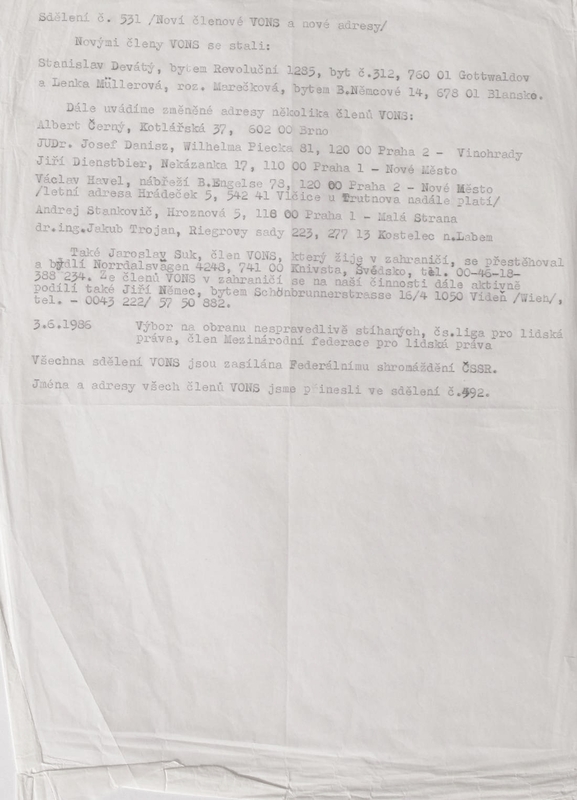 Facsimiles of selected documents in this collection are consistently published in line with corresponding inventory numbers listed in the catalogue. 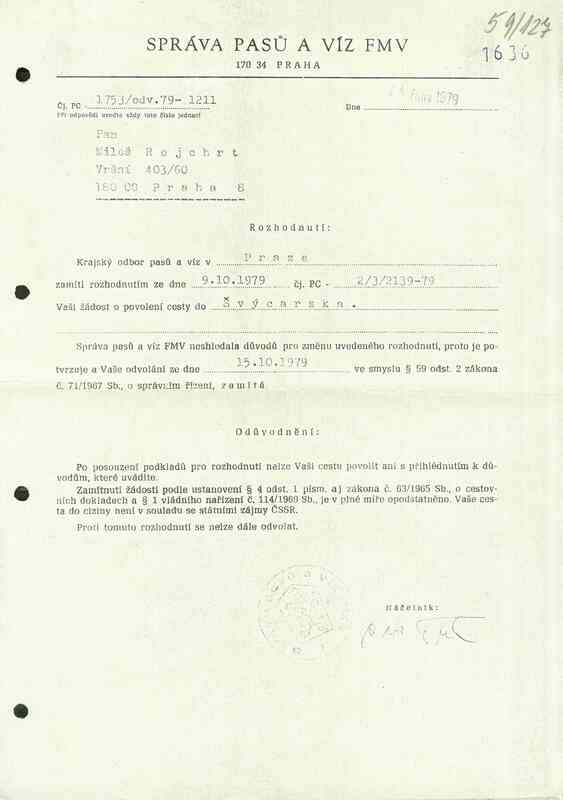 For reasons of clarity, however, documents under a given reference number are for the most part listed chronologically.